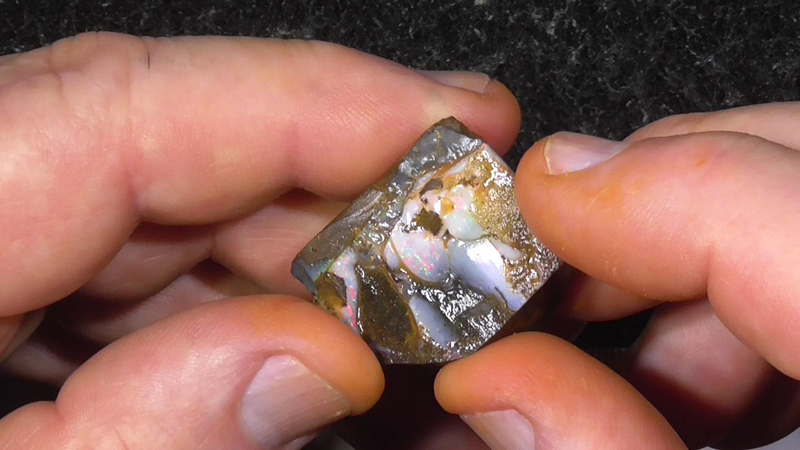 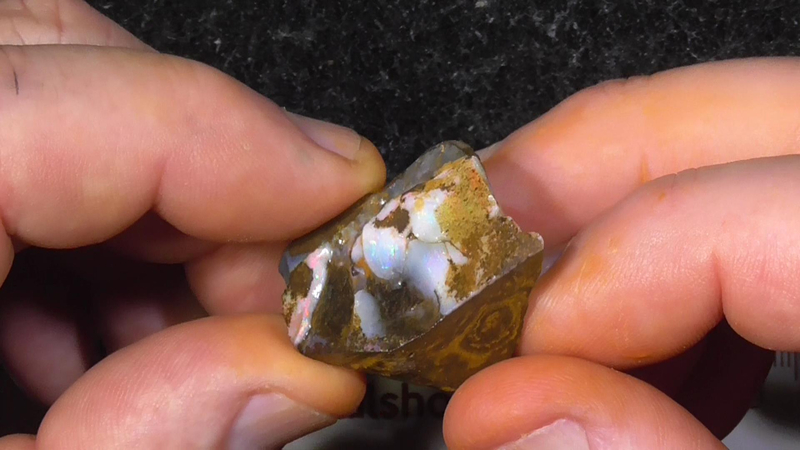 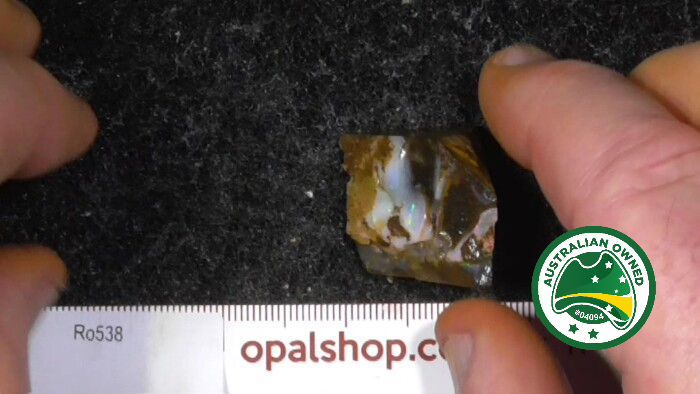 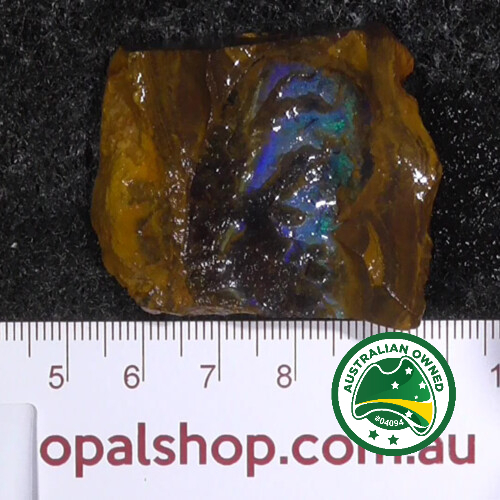 The parent material that the opal is deposited on is generally quite hard in comparison to some other fields. 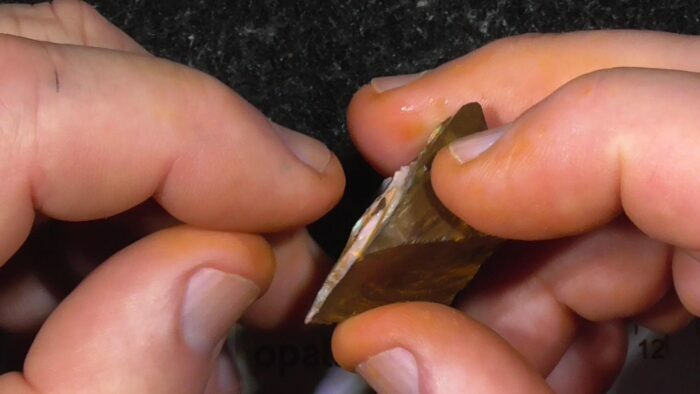 Being based on such a hard material generally allows the stone to be polished to a higher lustre. 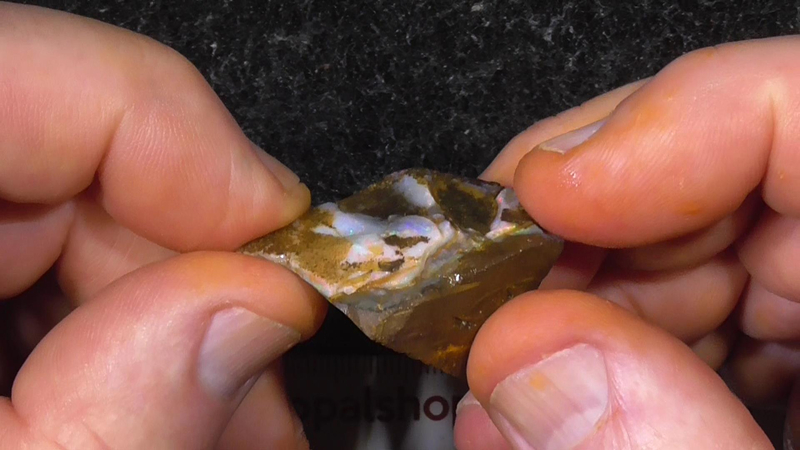 The material is generally photographed wet to bring out the highlights of the stone.